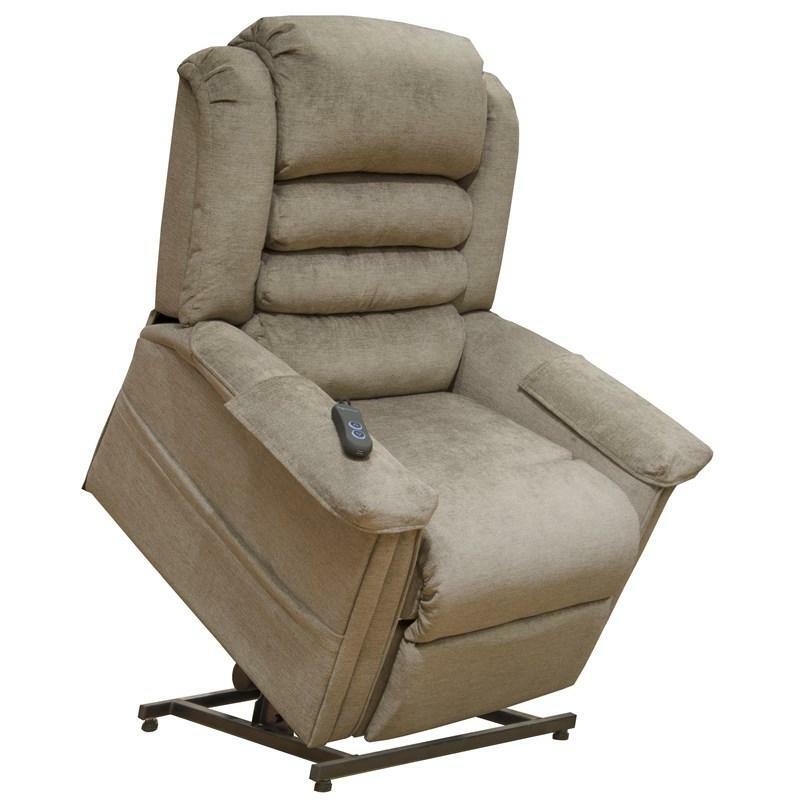 The elegant power lift, full lay-out recliner features a comfortable seating. 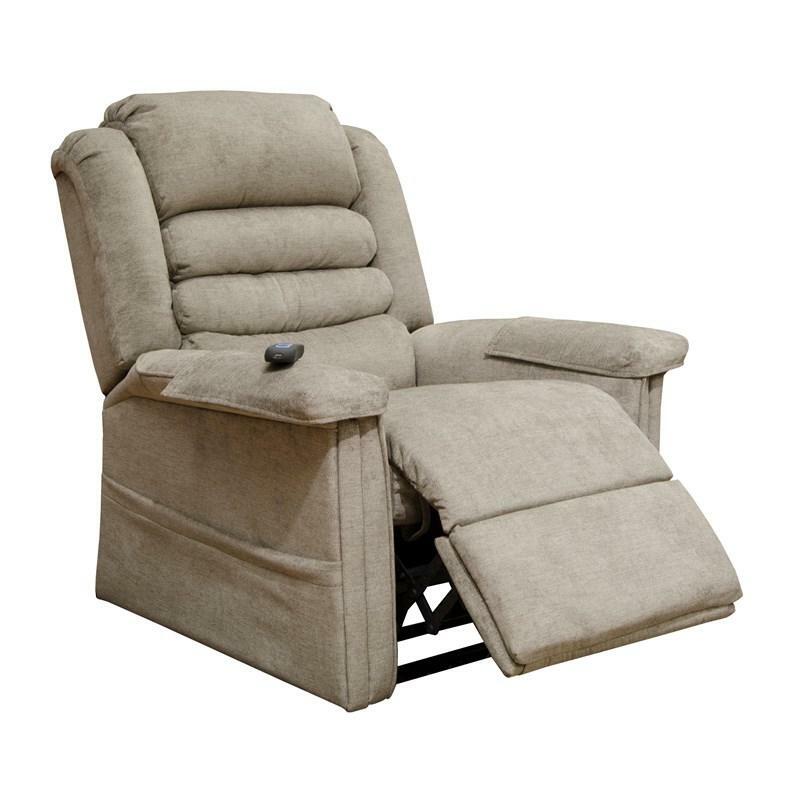 It features a waterfall back design with defined headrest, pad-over-chaise, and padded arms. It has a side magazine pocket and a controller.